http://bit.ly/19feMpU < < Sign up Today and join 40 minutes of live debate with our panel of experts below. Get answers to your biggest challenges including ROI metrics, internal integration, becoming a social business and much more! 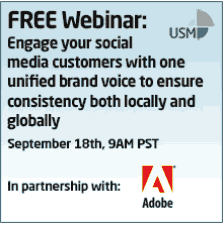 The webinar will take place on Wednesday, September 18th at 9AM PST (12 EST AND 5pm UK time).